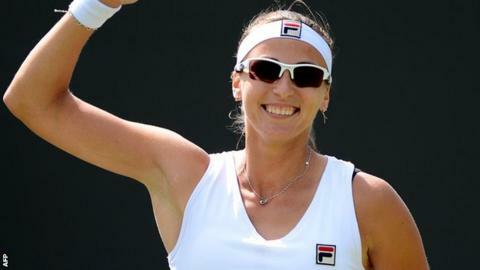 When Yaroslava Shvedova delivered the perfect 'golden set' on Saturday, she joined a small but exclusive club. The world number 65 secured the first set against Sara Errani winning all 24 points in just 15 minutes. Bill Scanlon was the only previous player to hold the unique distinction but he is happy to welcome another member to his gang. "I'm not upset at all," he said. "It's kind of a fun thing and there's now two of us." "It is one of the things I'm really proud of. I still feel good about it - it took 29 years for someone to match it." The American does have a fair bit to look back on. He reached the top 10 in the world and was a familiar figure in the latter stages of Grand Slam events, including a run to the last eight of Wimbledon in 1979 and a US Open semi-final appearance four years later. Scanlon recorded his 'golden set' at a lower key event, on the men's tour in Delray Beach in Florida. The victim was Brazil's Marcos Hocevar in a 6-2 6-0 defeat in 1983. After her Wimbledon achievement Shvedova admitted she was not initially aware of what she had done, something that Scanlon can empathise with. He says: "I don't remember any of it - other than the last point which I remember clearly. I wasn't aware it was happening until the umpire came and pointed it out to me and said, Mr Scanlon, it appears you didn't lose any points in that last set." Perhaps it is not too surprising, when one player is so dominating a match, that their focus is so narrow, with Scanlon believing he was "in the zone" where all outside distractions disappear. It was something he strived for, having shown a real interest in the psychology of the game. "Throughout my career I was actively making an effort to get into that intense concentration, where you are singularly focused on what you are doing. I had a number of those occasions, in that I would go on these streaks and win, say, 16 out of 18 points. I won 36 out of the last 38 points in that golden get match." Scanlon also believes it will not be another 29 years until a third player joins both him and Shvedova in this niche in tennis's history. "You see the amazing physical condition of the guys and now it's the same frontier in terms of the sports psychology aspect - this intense focus is becoming more and more common. I can't tell you how many times I saw Roger Federer run off 15 or 16 points in a row. "We're in a golden era of tennis right now."